The Javelin Experiment Board is a tool to validate ideas through experimentation. It is easy to understand, gets you started quickly, it is fun, engaging and helps you focus fail fast to succeed faster. 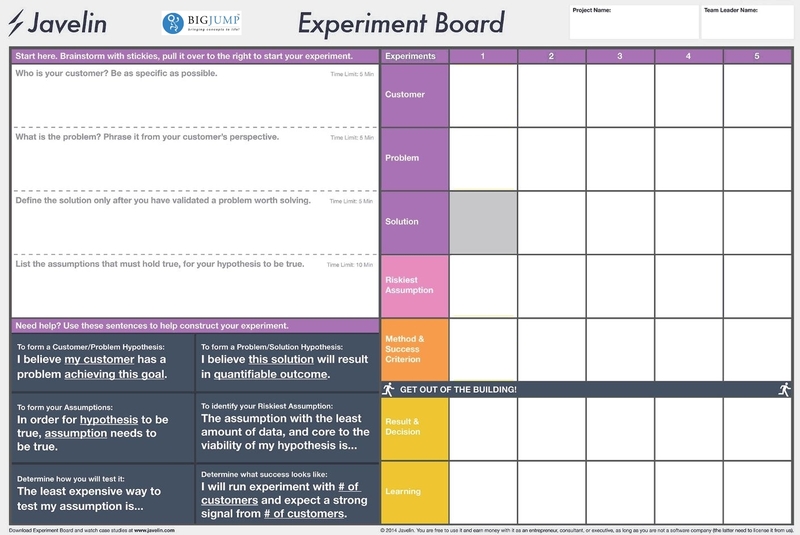 The Javelin Experiment board and the Business Model Canvas (BMC) are complementary in that after analysing the results from the experiments, the leanings can feed back into the BMC and help you take identify new risky assumption to test.